AVIXA, organizer of InfoComm 2018, announced that developers of C2 Montréal will bring their innovative brand of immersion and collaboration to the InfoComm show floor in Las Vegas, June 6-8. "We are thrilled that the creative thought leaders at C2 International are joining us for InfoComm 2018 in Las Vegas," said David Labuskes, chief executive officer of AVIXA. "Both AVIXA and C2 are committed to helping professionals think differently about how they tackle business challenges in a rapidly changing world. 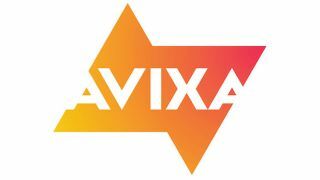 I can't think of any organizations that are better positioned to help welcome and engage attendees in brand-new ways at the first InfoComm produced by AVIXA." "Over the past six years, the C2 team has been researching and testing ways to take people outside of their usual frames of reference in the belief that experimentation leads to a culture of innovation," said Martin Enault, president at APAC C2i. "We've been designing and fine-tuning experiences that encourage participants to think differently about a problem, shifting their mindset in a way that will help them find new solutions to their business challenges. Core elements of that are atypical brainstorming experiences that we call labs. We are proud to feature such organic installations at InfoComm 2018."